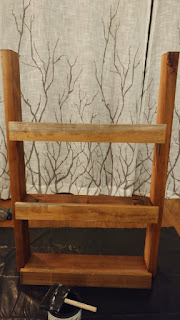 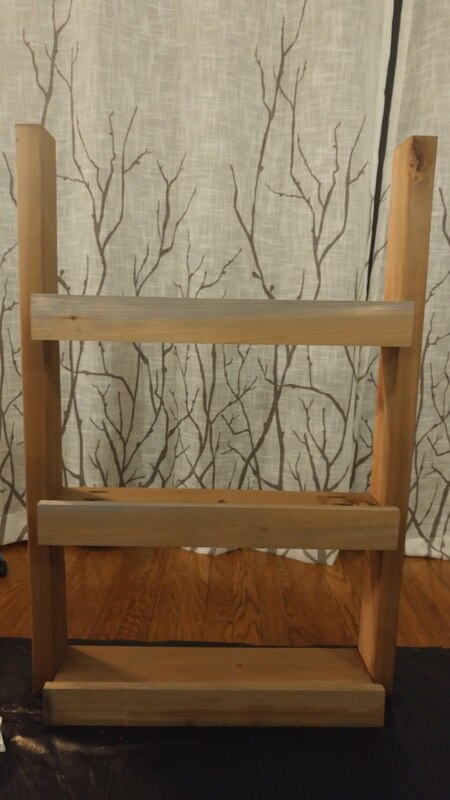 I built the wooden wall frame with cedar so I can hang it outside and used the Varathane Weathered Wood accelerator to give it a distressed look. 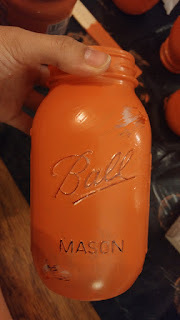 Next, I used the Modern Masters Cheerful paint leftover from my front door Cheerful Tudor. 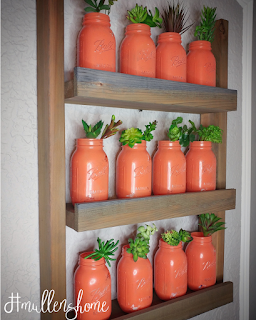 I like that having the same paint colors in several places ties the house design appeal together. 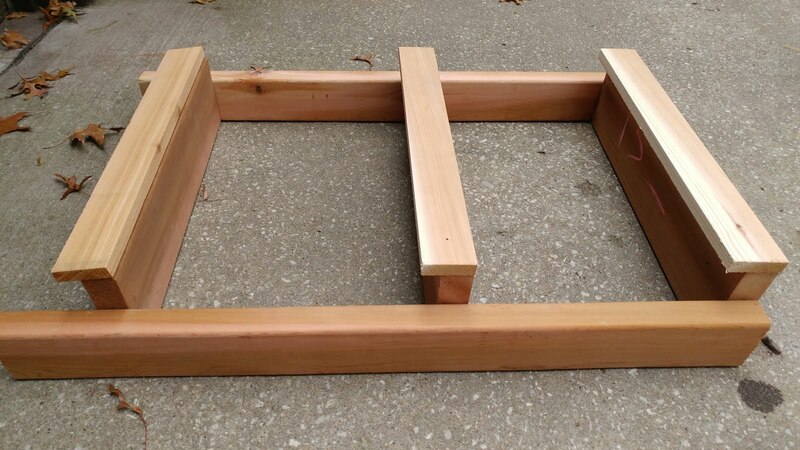 Step 1: Sketch desired size of hanging planter. 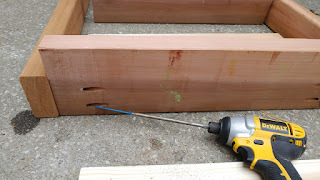 Step 2: Cut Cedar with miter saw. Cut two (2) 2x4s 3' (36") long for sides of planter. 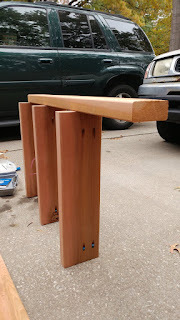 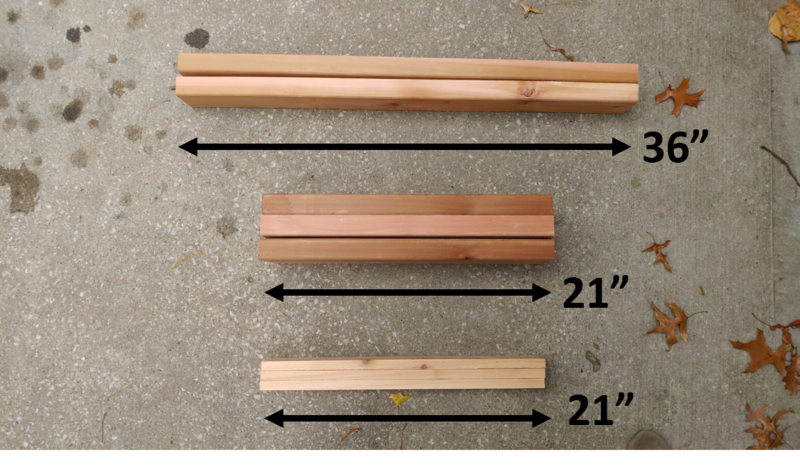 Cut three (3) 2x6s 1'-9" (21") long for the shelf plants will sit on. 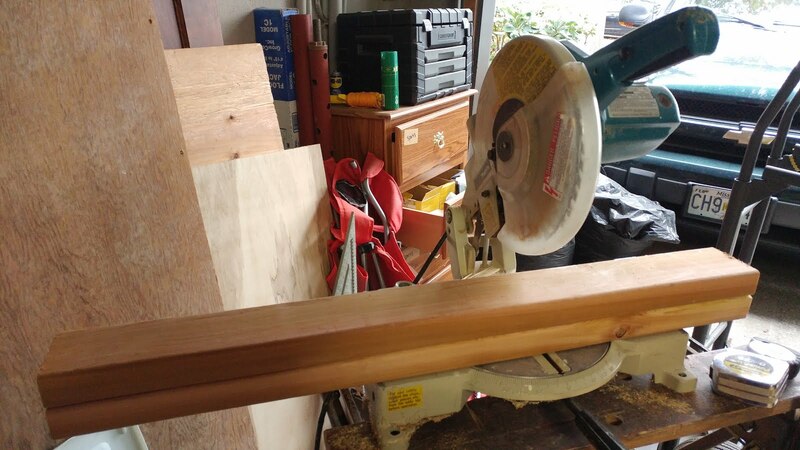 Cut three (3) 1x3s 1'-9" (21") long for the decorative piece in front of shelf. Step 3: Dry fit pieces for visual reference. 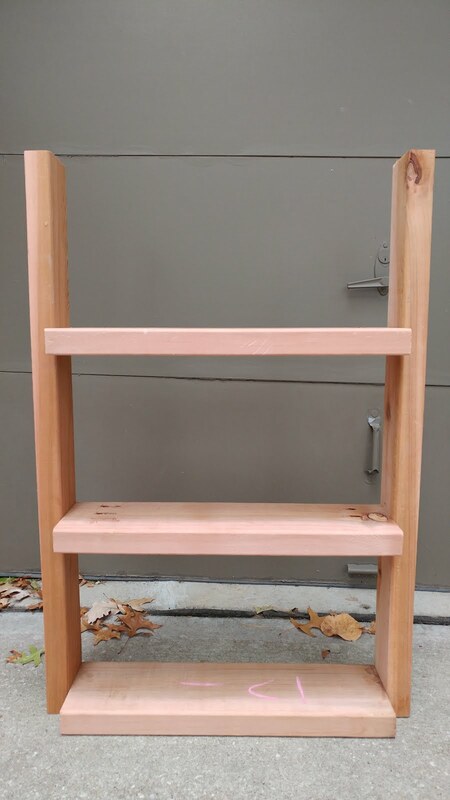 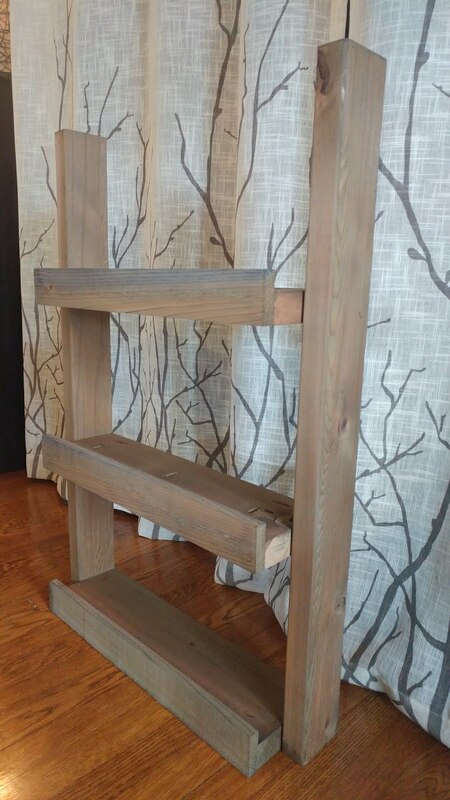 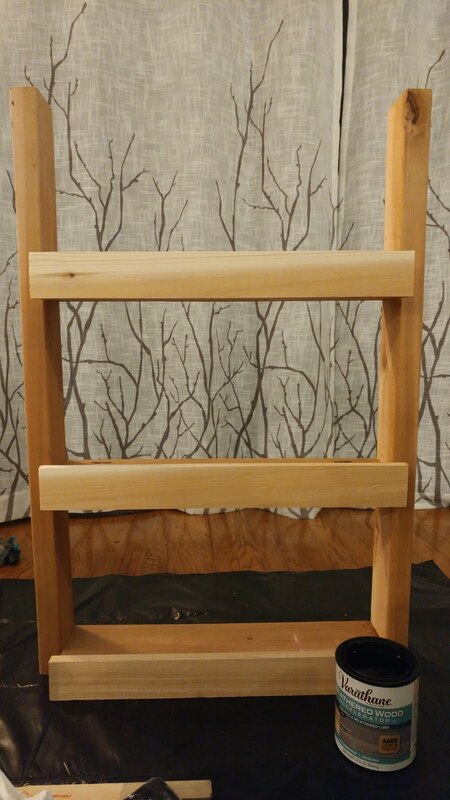 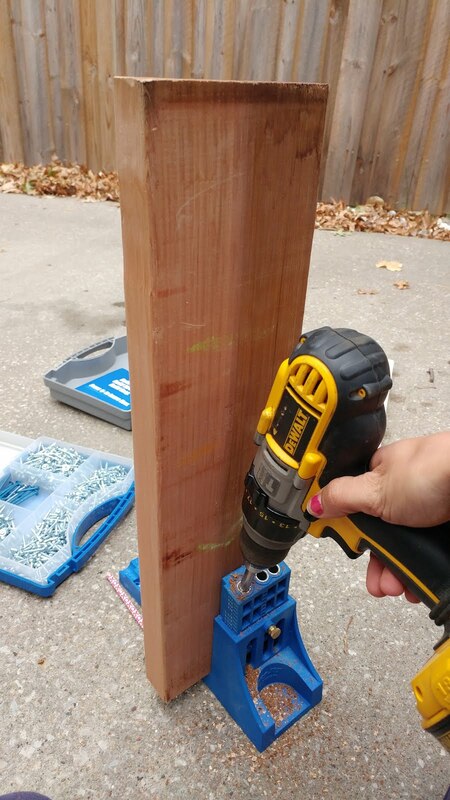 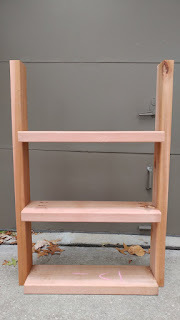 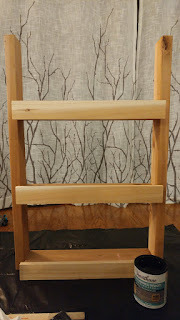 Step 4: Use Kreg Jig to drill two (2) holes on each side of the 2x6 shelves and impact pocket screws to 2x4 sides. 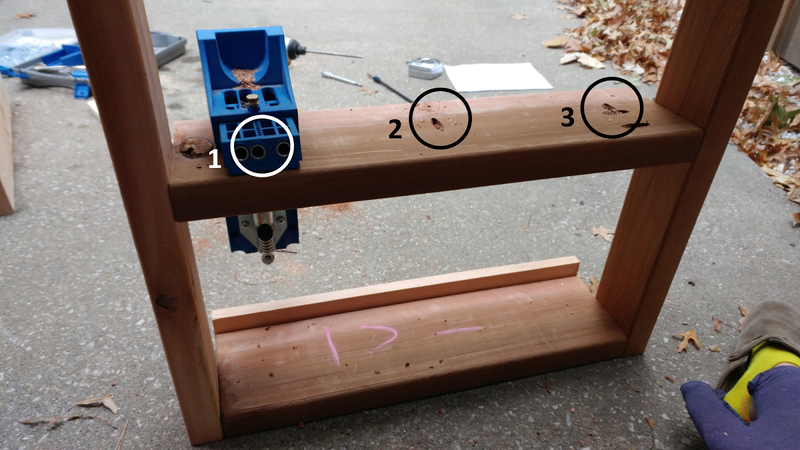 Step 5: Use Kreg Jig to drill three (3) holes on the front of the 2x6 shelves and impact pocket screws to 1x3 front. Repeat for each shelf. 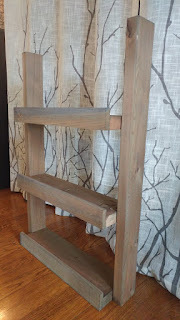 Step 6: Stain newly built wooden wall planter with Varathane Weathered Wood Accelerator. Apply coats until desired darkness is achieved. 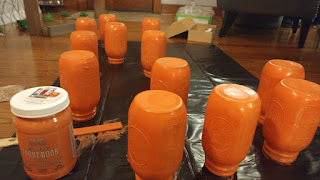 Step 7: Paint 12 Mason Jars with Modern Masters Cheerful Paint. Step 8: Distress mason jars with sandpaper once dried. 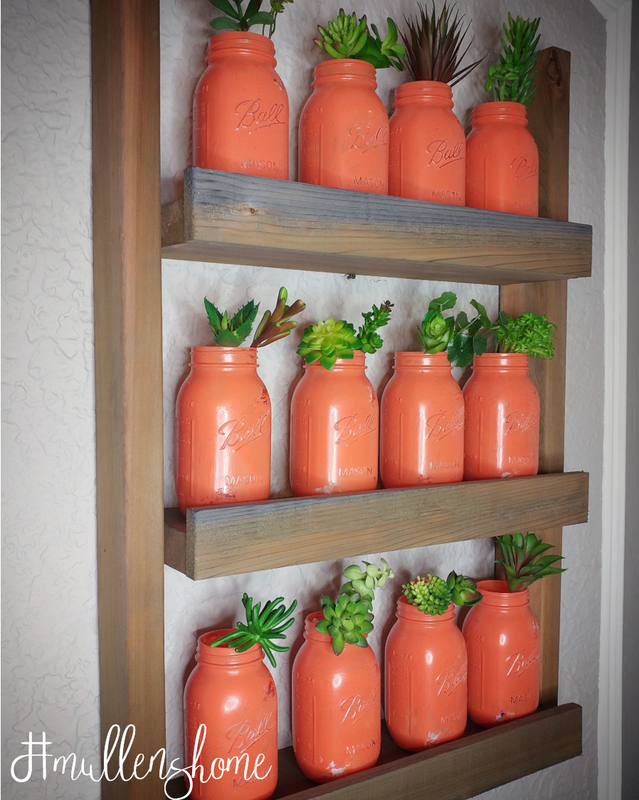 Step 9: Plant Succulents in mason jars. 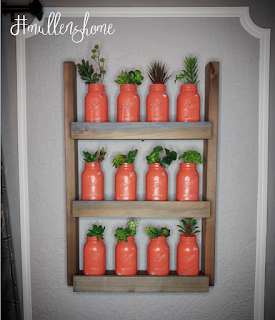 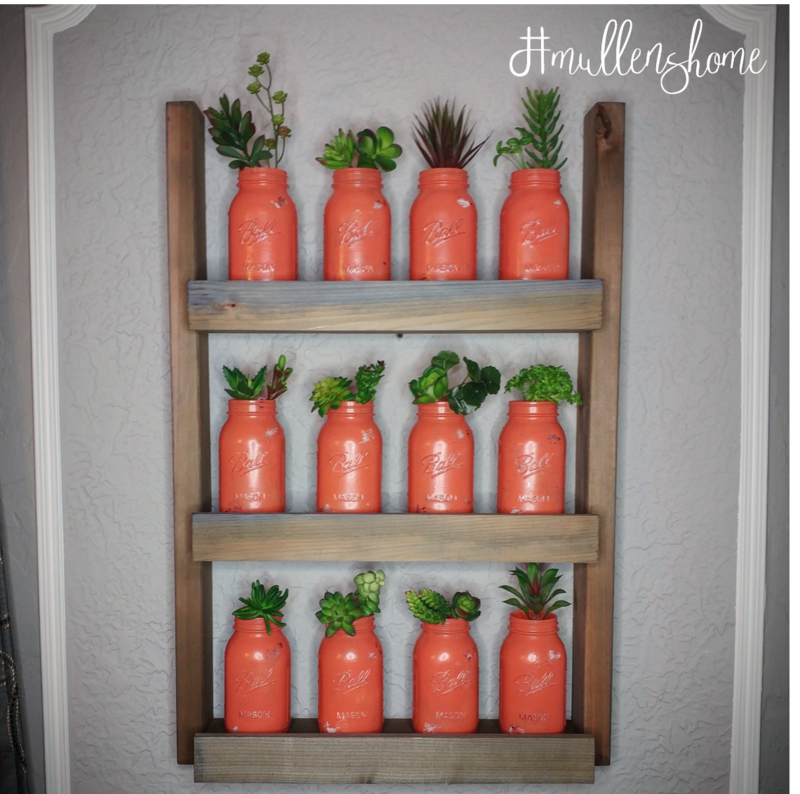 Final wooden wall planter with mason jars and succulents!